Chester's Takeaway in Murray Bridge is a catering van which is frequently parked in the turning area at the entrance to the football club along Adelaide Road. 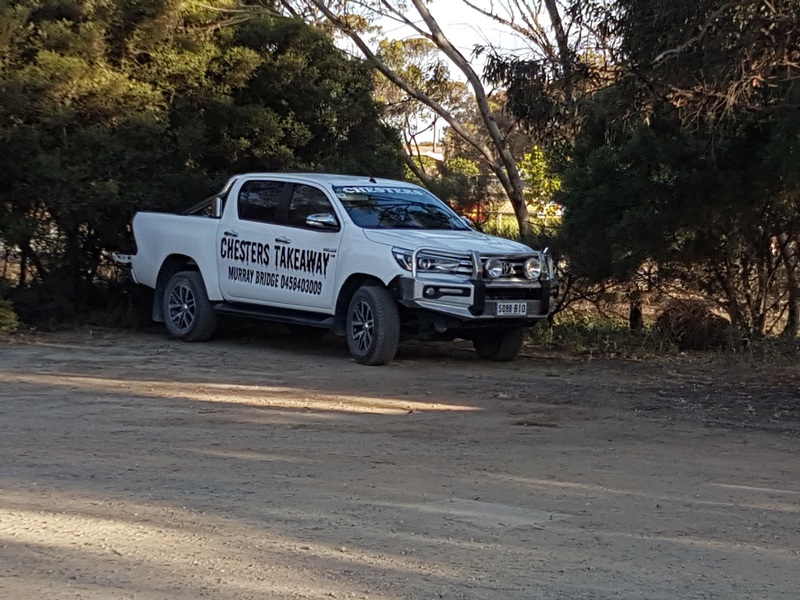 According to their Facebook page, this is Johnson's Reserve and the van is serving food from 5pm to 10:30 pm, Thursday to Saturday evenings. When we drive by during the day on the weekends, I often see the tempting sign out on the road-side saying "Hot Donuts", so I suggest their hours of operation may be more extensive on fine days. Last Saturday afternoon, we made time to stop and try the food offered by the van. We found that Chester's Takeaway offered more than just donuts. It also offered hamburgers, chips and a range of other take-away items. We ordered the $6 box of chips which turned out to be large enough to share with a family. I also had the "6 donuts for $5" deal and found the donuts were truly hot and fresh. They were coated in cinnamon sugar and left me craving them the next day. I don't think any of the other pop-up vans or donut places serve such sugary donuts! Chester's Takeaway also provided sauce for dipping in a separate cup, and even gave us a refill on request. 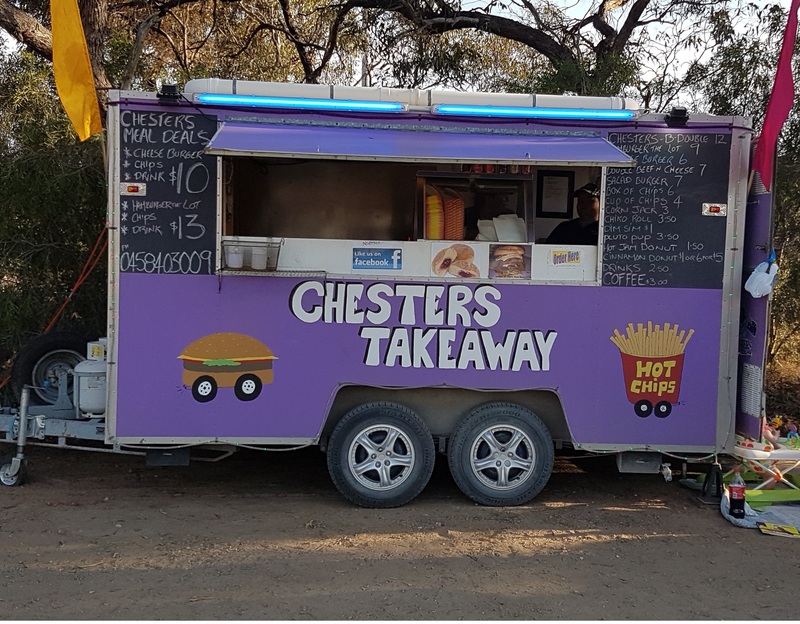 Chester's Takeaway also has a Cheeseburger, chips and drink deal for $10, if you love burgers and good value. Their larger hamburger, chips and drink deal costs $13. The hamburgers are reputedly so piled up with "the lot" that they are highly filling. The burgers are also very tasty.